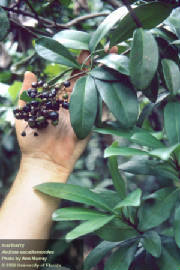 If you need a large, dense, evergreen shrub, Marlberry (Ardisia escallonioides) is a great choice. It grows well in acid or alkaline pH soils in part shade to full sun. It does prefer well drained soil and is drought tolerant once established. Marlberry matures to about fifteen feet tall and eight feet wide. The intermittent white blooms attract pollinators and butterflies and are followed by small red-purple fruit favored by birds. This plant takes pruning well and can be grown into a nice hedge or screen. Is it cooler yet? Fall in Florida is a lovely time. The days are sunny and just a bit cooler. Plants begin to perk up to the cooler night temperatures. This is the time of year that working in the yard is actually pleasant. Now is also the time to control winter weeds in the lawn. Watch for night time temperatures that are 55 - 60 degrees for several nights in a row, and then apply a pre-emergent herbicide. Be sure that the herbicide you choose is labeled for your type of grass. For more information consult Weed Management in Home Lawns on the Internet at: http://edis.ifas.ufl.edu/ep141. calendula and nasturtium can also be planted directly in the ground. Prepare the bed by spading in compost or other organic matter along with some slow release fertilizer just before planting. herbs that succumb to our hot steamy summers will thrive during the cooler months. If you don't have a lot of space, herbs grow well in containers. 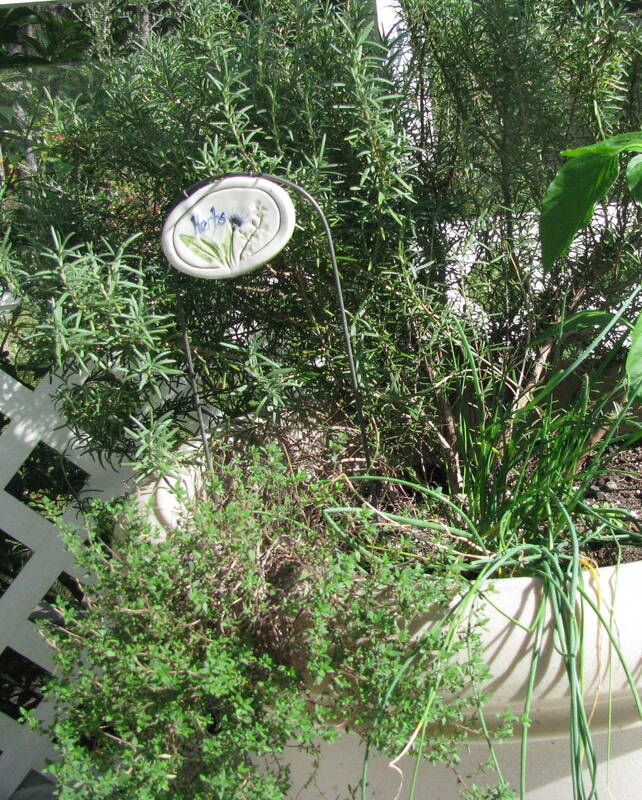 More information on growing herbs in Florida is available on the Internet: Herbs in the Florida Garden http://edis.ifas.ufl.edu/vh020Mulch the bed well after planting to conserve moisture and keep down weeds. Remember to keep the mulch two to three inches away from the base of each plant. Now is the time to add bulbs to your landscape. Amaryllis bulbs (Hippeastrum spp.) could be called the Florida tulip. They make a striking bloom show in the spring when planted in groups of 10 or more in landscape beds. Remember, when planting amaryllis bulbs, the collar and the very top of the bulb should be above the soil line. Keep the mulch away from the top of the bulb. You can also plant Crinum or Swamp Lily bulbs (Crinum americanum) now for spring and summer bloom. Well-suited to hot, dry, locations, Crinum Lilies grow from what are among the largest true bulbs, some weighing over 40-pounds. Crinums will recover quickly from killing frosts in our area. Deer have not eaten the plants of Crinum bulbs in my garden, but they occasionally eat the foliage of the Amaryllis.